The WSU Energy Program promotes and supports energy efficiency at public and government facilities through the Resource Conservation Manager (RCM) program and previously through the Resource Efficiency Manager (REM) program. Resource conservation management is a coordinated effort to manage the resources and services used, and waste generated, by public facilities to reduce operating costs, increase efficiency, and promote environmentally friendly operations. This involves carefully tracking resources and improving operational efficiency while enhancing occupant comfort and overall cost-effectiveness. We provide technical assistance, resource accounting tools, targeted information, and funding support from other agencies to support RCM programs. Most RCM programs achieve up to 10 percent savings on utility bills after the first year, depending on the number of facilities involved and level of management commitment. RCM strategies have been used in industry and organizations for many years. Learn more: RCM Benefits, RCM Role, RCM Profiles, and RCM Publications. RCM Exchange (RCMx) is an online guidebook that provides insights about building, implementing, and sustaining a successful RCM program. REMs are contracted by federal agencies to reduce energy use and resource costs at their facilities. Between 1997 and 2006, we provided support for the REM program with funding from the U.S. Department of Energy Federal Energy Management Program (FEMP). These webinars, provided to promote and support RCM programs for the public sector in Washington and the Pacific Northwest, are funded by the DOE State Energy Program through the Washington State Department of Commerce Energy Division. 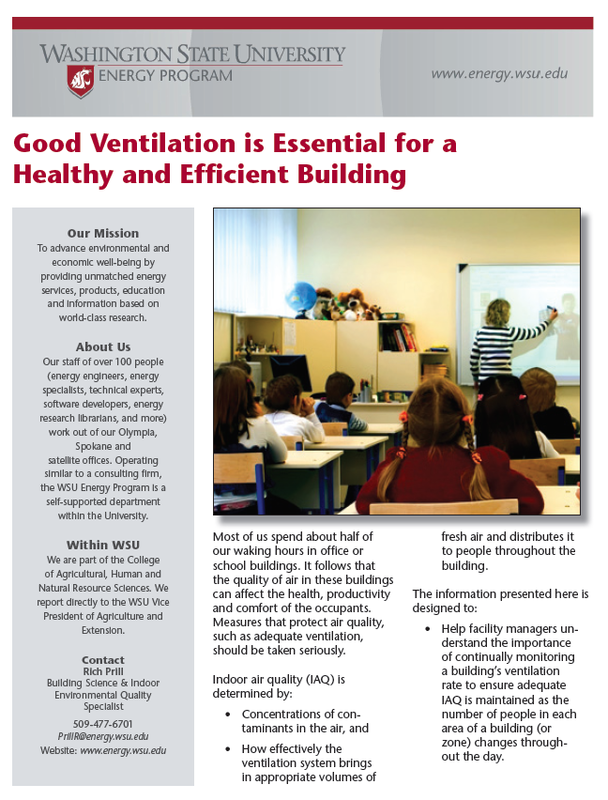 View this webinar as a PDF or as a video recording. 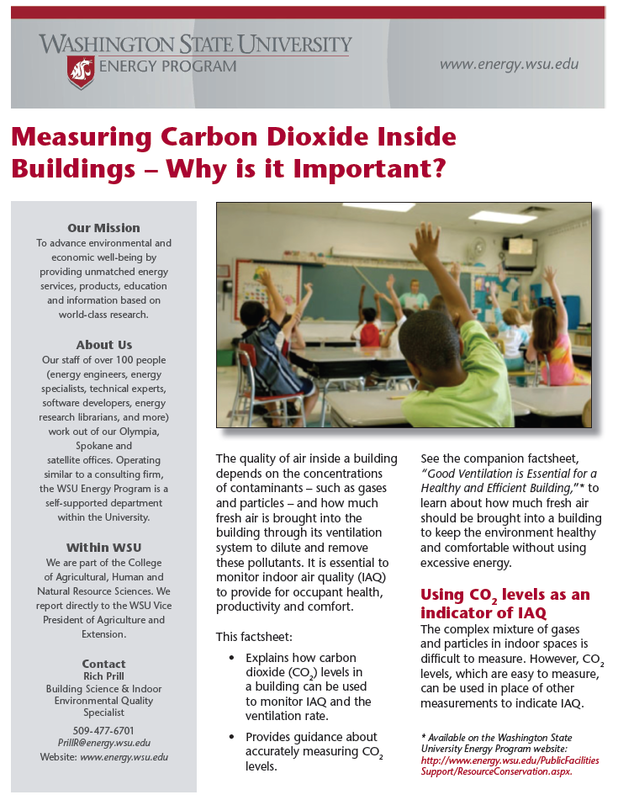 Measuring Carbon Dioxide Inside Buildings - Why is it Important?